Personality: Quiet, calm, and slightly arrogant. Each of these describes Kagemon's personality on the surface. He acts annoyingly superior when he thinks someone is being an idiot. He doesn't like to fool around or make jokes and is serious about almost everything. Kagemon isn't sociable or especially caring. He doesn't like other people very much and normally avoids groups of more than two individuals. He ignores what he considers idiocy and tries not to make friends because he believes they will drag him down. Kagemon wasn't always like this. In fact, he used to be very kind-hearted. Even now, he would throw himself in front of a bullet if it would save someone's life. Truthfully, he only pretends to be cold and distant so that he will not have to experience the sting of rejection ever again. More recently, Kagemon has defrosted slightly after he met Farrell. The two of them are so similar that Kagemon couldn't help being drawn to him. Both feel pain deep down, but do their best to hide it. They both have lost people who were precious to them and have no way of reconciling with certain others who they care about. Through their similarities, Kagemon and Farrell have established a deep bond of understanding and trust, one which allowed Farrell to unintentionally summon a Digivice when he was in danger. Even though he feels close to Farrell, Kagemon has kept many secrets. He doesn’t talk much about his past or what it's like in the Digital world. In part, he doesn't want to endanger Farrell by dragging him into a mess, but at the same time, Kagemon is afraid of telling Farrell everything about him. He fears that Farrell will reject him, just like everyone else has. History: Kagemon's existence began the same way most Digimon did: He was created by the Digital World program. Kagemon was made very recently when compared to some other Digimon. He is only about two hundred and fifty-six years old. Kagemon first hatched as a Pafumon and lived in Primary Village. He enjoyed his life there, but after he Digivolved to Kyaromon, he moved out and tried to find his place in the world. He wasn't content to stay in one place, but moved from village to village constantly. He made many friends during his travels and he was welcome most anywhere. One day, as Kyaromon was traveling to another town, he was attacked by a Digimon from the Dark Area. This particular Digimon was modified so that any other Digimon it clawed would be infected by the Dark Area's evil influence. Being small and weak, Kyaromon was unable to stop the Digimon from scratching him. It would have hurt him further, but one of the Royal Knights, UlforceVeedramon, destroyed the Digimon and took Kyaromon to a medic in a nearby village. UlforceVeedramon left him there and Kyaromon has not seen him again. The medic patched Kyaromon up, but could not stop the infection. It spread throughout Kyaromon and forced him to Digivolve. Instead of turning into one of his normal Digivolutions, Kyaromon became Kagemon. The medic was afraid of Kagemon and, along with the other Digimon in that village, they drove him out. Kagemon continued the traverse the world, but he was no longer welcome in most places. Even his friends were nervous around him. They had trouble believing that he had turned into a dark Digimon. 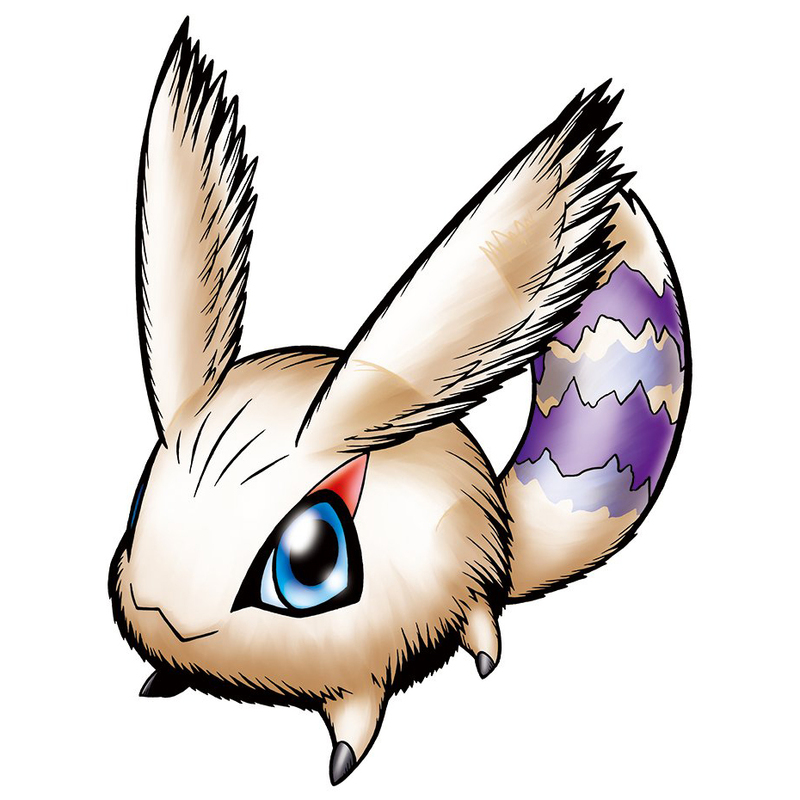 Kagemons didn't exactly have a reputation for bringing harm to other Digimon, but not much was known about them and the only descriptions of them were vague and made them out to be supporters of the darkness. Kagemon was very thankful when, a few years later, he Digivolved into Unarimon. He was technically still a dark Digimon, but at least other Unarimon were not all considered evil. They are tracker Digimon and are highly praised for their abilities by both evil and good Digimon. Unarimon found himself being hired by many good Digimon and he was integrated back into society. The process was slow, but as Unarimon's personal reputation grew, he once again became welcome wherever he went. Unarimon never felt totally at ease, however. He might be welcome in a town, but there were still Digimon out there who didn't trust dark Digimon like him. So Unarimon took his first step towards becoming the calm, quiet individual he is in the present day. He didn't make friends as easily and he didn't walk the streets of any town during its busier hours. None of the Digimon that Unarimon met thought he was odd for doing this. Most Unarimon are anti-social. Several years passed. 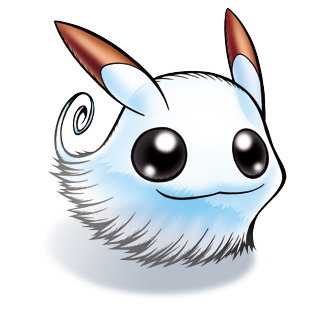 Unarimon was soon famous across several of the major Digital regions as a dark Digimon who worked only for good Digimon. During one of his jobs, Unarimon tracked down a MetalTyrannomon. His employer for this job, a Guardromon, wanted to bring down the creature, which he had apparently created during an experiment. Though the idea of changing a Digimon into a metallic monster sickened Unarimon, the money was good and at least Guardromon was trying to make up for his error. Together, they found the Digimon and Guardromon tried to destroy it. Needless to say, as a Champion, Guardromon was no match for the Ultimate level MetalTyrannomon. Unarimon tried to help, but was beaten back and almost killed. In a desperate attempt to save Guardromon and himself, Unarimon used all of the pent-up energy he had gathered since becoming a Champion. His gamble paid off and Unarimon Digivolved into his Ultimate form: Seigimon. As Seigimon, he was easily able to bring down MetalTyrannomon, who was little more than a mindless monstrosity. Though he did not try to spread word of his victory, Seigimon's efforts still became known to many other Digimon. He was now known not only as a brilliant tracker, but a hero. It helped that his Ultimate form, Seigimon, was a vigilante-type Digimon. From that point on, Seigimon was given plenty of jobs, not just as a tracker, but also as a protector and a warrior. Many more years passed. Seigimon's fame continued to grow until one day, it all came crashing down on his head. Seigimon had become drunk on his popularity and allowed it to go to his head. He took on a shady job, one he definitely would not have taken back as Unarimon. This job involved bringing down a rogue Angemon. Seigimon had never heard of such a thing, but he supposed it had to happen occasionally. After all, there were plenty of Fallen Angel Digimon in the Dark Area. Everyone knew that. The only difference here was that Angemon was still an Angel Digimon. Not really a big difference at all. Seigimon hunted down the Angemon and fought him for nearly four hours. The battle was fierce. Despite being an Ultimate level Digimon, Seigimon acted foolishly and forgot that Angel Digimon have an advantage over dark Digimon and this particular Angemon was a prodigy among his kind. Angemon pulled several tricks on Seigimon and Seigimon was nearly destroyed. Finally he managed to overwhelm the Angemon and blew him apart. Unbeknownst to Seigimon, the Digimon who had hired him was watching nearby. This Digimon, a SangLoupmon, had waited until this moment. He was planning to try and absorb the Angemon's data. When he jumped out and rushed towards the data, Seigimon saw him coming and knew something was wrong. So he hurled himself in the path of his employer and blocked the SangLoupmon. However, SangLoupmon rammed Seigimon, who was still weak, and knocked him into the Angemon's data. The data was still in a state of fluctuation and it actually entered Seigimon instead of leaving to reform as a new Digiegg. Seigimon didn't just gain power from the data, he actually absorbed the data itself, effectively destroying Angemon and forever changing Seigimon. From that point forward, each of Seigimon's dark forms gained a small part of Angemon's light. His Kagemon form now has white fur covering his hind right leg. His Unarimon form has a big, white X etched into the fur on his chest. And Seigimon himself gained a set of black, feathery wings, sprouting from his shoulder blades. Momentarily reenergized by Angemon's power, Seigimon demanded to know what was going on. SangLoupmon cowered and revealed his plan. He had been planning to grab as much of Angemon's light energy as possible so that he might become more resistant to light Digimon. He was also hoping that the boost would allow him to reach his Ultimate form. Seigimon collapsed a moment after SangLoupmon finished his explanation. The combination of Angemon's light and Seigimon's darkness was no longer boosting his power. Instead, the two opposite forces were battling inside of him and they rendered him weak and incapable of defending himself. SangLoupmon moved in for the kill, hoping that by destroying Seigimon, he could absorb the energy of both Seigimon and Angemon and that Seigimon's darkness added to his own would be enough to nullify Angemon's light while still gaining the benefits of its power. Before SangLoupmon could carry out his new plan, he was cut down by a GuardiAngemon, who had come to find out what was happening. The GuardiAngemon had overheard the conversation, could see the black wings sticking out of Seigimon's back, and knew what had to be done. He took Seigimon back to the home of the Angel Digimon where he would be judged. It was still Seigimon's fault that Angemon was gone, even if he had been tricked. As punishment for his crime, Seigimon was banished to the Dark Area by Seraphimon in the hope that he might at least use the power he had gained to bring some order to the Dark Area. Seigimon was horrified by his actions and allowed himself to be sent to the Dark Area without a fight. The time that Seigimon spent in the Dark Area could almost be measured in centuries. He never Digivolved again, which he believes is the result of the two opposing forces that exist inside of him. However, he was able to gain control over his mixed light and dark abilities and did his best to fulfill Seraphimon's wishes by destroying dark Digimon and bringing those he could lead to heel. Appearance: Pafumon is a tiny Digimon who can fit his entire body onto the palm of a full grown human's hand. He moves by floating through the air, instead of hopping across the ground, but he is so light that he cannot go against a strong breeze. Appearance: Kyaromon is very small, just like his Fresh form. He is only about a foot tall and that is including his long ears. Kyaromon's body is extremely light and his tail is elastic, like a rubber ball. Talking about rubber balls, that is pretty much what Kyaromon is shaped like. Aside from his tail, stubby legs, and ears, he is very round. Attacks: Tail Swing: Kyaromon spins around, lashing out with its tail as it does so. The force of this attack is enough to cause minor damage to a Rookie Digimon. Appearance: Kagemon is a Digimon who was formed from Digital shadows. This is evidenced by how his body's form shimmers and wavers, even when he is standing perfectly still. It also means that Kagemon has two forms: His solid form and his shadow form. While in his solid form, Kagemon is not the largest of digimon, but is still a good size for a Rookie. He walks on all fours and is two feet tall at the shoulder. He has a definite mammal-like appearance. His body and head are most similar to a feline's, but his face is slightly pointed, making it a little bit fox shaped. Kagemon has a very slim and delicate frame, which is in agreement with his feline form. He is covered entirely in dark grey fur except on his hind right leg, which has pure white fur. Kagemon's eyes are large and both are jet black. He has a long, flexible tail and his ears are tall and pointed at their tips. Kagemon's shadow form is very simple: It's a shadow. The shadow can change shape into whatever it wants so long as that shape remains flat against the ground. If the shadow formed a perfect circle, it would be three feet in diameter, period. It does not grow or shrink and always has that much 'mass', although it can stretch itself out to look bigger than it is. 1. Shade Shift: Kagemon transforms himself into a mobile shadow. While in this form, Kagemon can still be hurt. He is not untouchable. However, since he is a shadow, he is a little bit harder to track. He can also hop into and ride inside of another shadow. This means that he can take naps while remaining in motion with whatever is casting the shadow he is hiding inside of. The main disadvantage of this form is that Kagemon cannot fly or even jump. He is forced to stick to the ground or walls and slide along them. 2. Shadow Claw: Three long, glowing, purple claws sprout from the end of one of Kagemon's paws. The leg attached to that paw transforms into its shadow form and it stretches towards Kagemon's enemy, attempting to cut them with the claws. 3. Dark Aura: Kagemon's body is surrounded in a smoke-like, dark aura and he fires a beam composed of the aura's energy towards his enemy. This energy corrodes its target upon impact.